Yorktown, VA is a great place to call home. It’s full of character and culture and its weather is mild. All these things and more are reason enough to put down stakes in Yorktown , but with so many wonderful neighborhoods to choose from it can be tough to decide what one is right for you. That’s why “Mr Williamsburg” writes these Neighborhood Spotlight articles to introduce readers to the pros and cons of the area’s many unique locales. 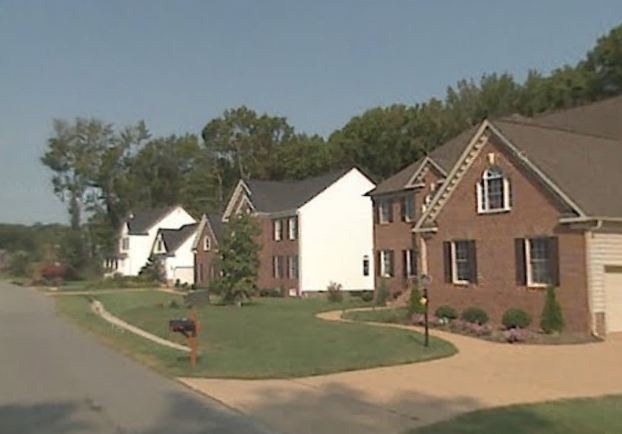 Today, we’re looking at the exciting Yorktown’s Running Man neighborhood. sorry for my verbosity but I am trying to give you all the information I can ! Ever heard of the neighborhood, Running Man ? Chances are, probably not. This small intimate neighborhood is located off Victory Blvd and is bordered by Big Bethel Rd, Cary Chapel Rd and Hampton Highway. Nearby neighborhoods include: Coventry, Yorkshire Downs, Wythe Creek Farms, Woods of Tabb, The Greenlands, Old Port Cove, Falcon Crest and others. 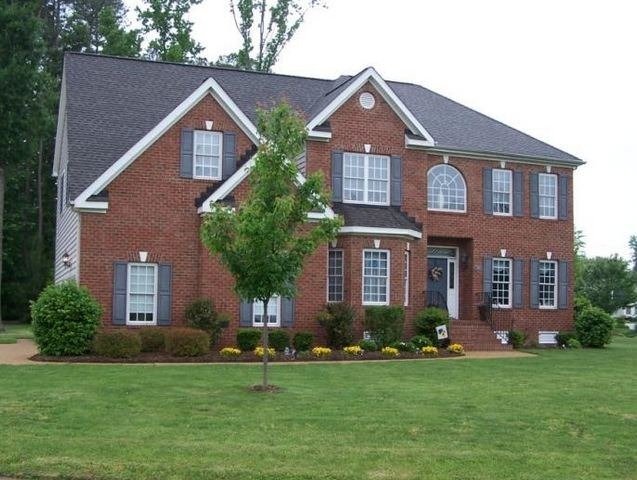 Running Man is a sought after community in the Yorktown Va area. It was developed in the mid 1980’s with home construction stretching from 1985-today. There are 560+homes in the Running Manneighborhood. In terms of style, Running Man is filled with beautiful colonial styled transitionals. Two story homes are predominant though there are a number of ranch homes. The lot sizes for single family homes range from approximately ..28-.75 acres with most averaging .44 of an acre in the older section and .28 acre in the newer section. Homes in Running Man range from 2000- 4800 square feet with the median size coming in at 3000 square feet. Running Man was developed by Harrison and Lear who also developed such well known projects as Elizabeth Lake Estates, Equestrian Run, Malvern, Willow Oaks, and Windsor Great Park. Some of Yorktown’s best builders have built homes in Running Man including: Katzenberg, C.R. Mclellon/ Marquee Homes, Darrell Hunter, Darrell Rutherford, Greenfield Homes, J.D. Blanchard, Kramer Construction, Pickett Corp, Randall Sarfan, Kicotan Co, Suburban Builders and Wayne Harbin. Why is Running Man so popular? 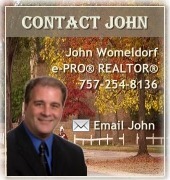 It’s simple ~ its location in heart of York County County , tight-knit community . Wooded home sites,street lights, ,Bike/running lane along Running Man Trail ,Highly rated York County Public schools , Easy access to everything on the peninsula, ,Common use recreation area with playground ,Active volunteer homeowner association ,20+year established neighborhood with new homes being built ,Pool available through Running Man Recreation Association. 2008 York County Neighborhood of the Year Award in the category of Community & Spirit. Running Man is located in the highly popular Tabb area of York County. This community is close to NASA and only a few miles from Langley Air Force Base. 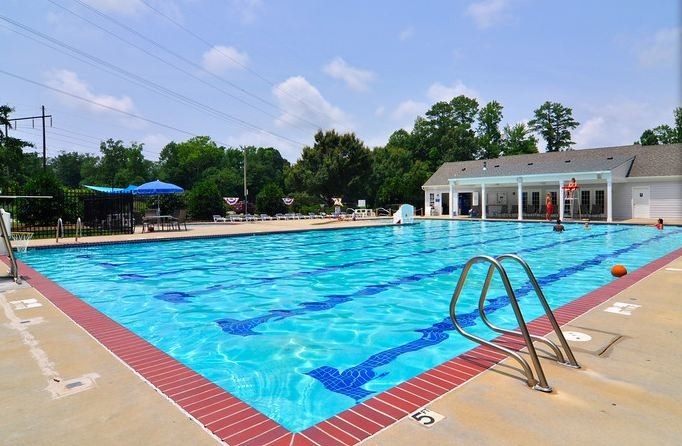 approximately less than 10 minutes from Colonial Williamsburg, Busch Gardens and Water Country. It is easily accessible to RT 17 and I-64 for a quick and easy commute to the peninsula, Newport News, Ft Eustis, Cheatham Annex, USCG Training Center in Yorktown and most points on the Peninsula. 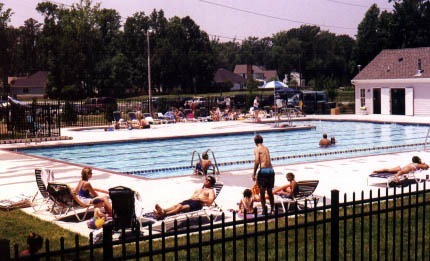 The Running Man Recreation Association ( RMRA) was founded as a nonprofit corporation in 1998 to develop and operate a swimming pool and clubhouse in the Running Man subdivision of York County, Virginia. The facilities include a 25-meter 6-lane main pool, a wading area attached to the main pool, a 15 ft. diameter tot pool, a 1,700 sq. ft. clubhouse, and a 47-car parking lot. Membership is available to anyone living in the Running Man community. Events hosted by RMRA have included a Triathlon, book exchange, aqua zumba, 4th of July Parades, Late Night Swims, Halloween Parades and more. The annual home owner association fee is $143 with an additional $350 annually if you join the pool . One of the lowest priced HOA communities with a pool. Note there is a one-time initiation fee of $1250 to join RMRA. Running Man has an active Neighborhood Watch program, that resulted in the community being named Neighborhood of the Year by the York County Board of Supervisors. The Running Man Manta Rays is the summer league swim team for the Running Man Community. The Manta Rays are part of the Greater Peninsula Swimming Association (GPSA) The Manta Rays have been around for twelve years with swimmers range from novice to experienced year-rounders. Running Man Makes The Grade!!! Running Man students are fortunate to attend York County Schools . Students go to Mt. Vernon Elementary, Tabb Middle School and Tabb High School. Yorktown’s Mount Vernon Elementary School serves grades PK-5 in the York County School Division district. It is among the few public schools in Virginia to receive a distinguished GreatSchools Rating of 10 out of 10. What is for sale in Running Man ? (August 2011) Prices in Running Man vary according to size, condition and age,. 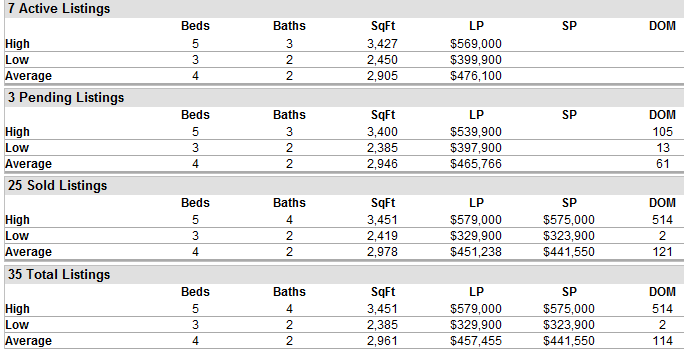 Sold prices for the 25 home sales in the last 12 months in Running Man ranged from $323,900 for a 2419 square foot home to $575k for a five bedroom , four bath, 3451 square foot home. .The average market time for the 25 home sales in Running Man in the last 12 months was a 114 days , although that doesn’t include the DOM ( days on market) of a home if it is re-listed after expiring. New home sale in Running Man have continued to be strong . In the last 12 months of the 25 sales 11 of them were new homes. That’s a pretty impressive number in this market,. Why ,that’s the highest home sale price recorded in Running Man , Alex. Back in 2007 for a 4898 square foot home on Kanawah Run. The home is pictured on the left. It has the largest lot in Running Man at 8+ acres. Directions: From I 64 take exit 256B , merge onto VA 171 East/ Victory Blvd go 3 miles ,turn right on Big Bethel Rd, .08 mile and then left onto Running Man Trail which takes you into the Running Man neighborhood. Talk back: Are you a current or past Running Man resident? We’d love to hear about your experiences in the neighborhood. Please leave your comments below. 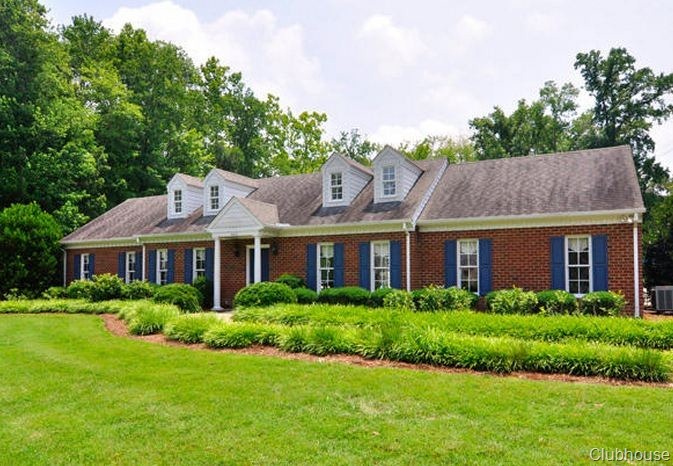 Are you looking for homes for sale in Running Man in the Yorktown, Virginia area ? Take a look at new listings in Running Man our listings are updated daily so check back often. See what has sold in Running Man in the last 12 months. It makes sense to talk to a local expert. Mr Williamsburg has more neighborhood and local information on the internet than EVERY OTHER agent in the area combined. 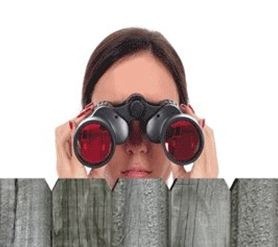 What is a Nosey Neighbor Update ? Let’s be real. The real estate market is crazy right now and values are changing every day. As a homeowner we often want to know what homes are selling for whether it’s to satisfy your “nosey neighbor” curiosity or planning a move. I have an online tool that will give you ALL FOR SALE, PENDING, & SOLD homes in your neighborhood displayed in mapped report with graphs, charts, etc. It’s much more accurate than Zillow or other national sites & it uses real time MLS data. Plus, it’s private and secure – the only one who will see your information is me. Fill out my “Nosey Neighbor Update” form to receive ongoing reports on your neighborhood. Lot Sizes: .28 to .75 acre , 42 acre median. Property Tax Rate: With a real estate tax of $0.6575 per $100 . The annual taxes on a typical home in Running Man Coventry valued at $500,000 would equal $3287.00 a year. Home Styles: Transitional, Colonials, Two Story and some ranches. Who said real estate was a bad investment. 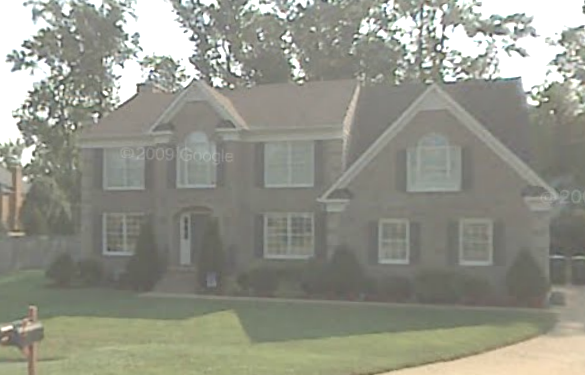 14 years ago (in 1997) this 3200 square foot new home in Running Man Williamsburg Bluffs sold for $239.000. Today that home would sell for approximately $450,000.